Ahead of this weekend’s release, which is scheduled for Saturday night, Kanye West stopped by The FADER today to play the staff selections from his new album, YANDHI. As tends to be the case with Kanye, the visit wasn’t complete without a touch of controversy. In starting off with the actual music, YANDHI boasts multiple songs with assistance from hip-hop’s go-to feature artist, Ty Dolla $ign. The album also notes contributions from 6ix9ine, who remains in the news for pleading guilty to sexual misconduct with a child, as well as XXXtentacion, who was accused of kidnapping and abusing his pregnant girlfriend. According to the publication, ‘Ye is also sending one of the project’s songs to Rihanna for her to record vocals. Again, YANDHI is due out Saturday, September 29. 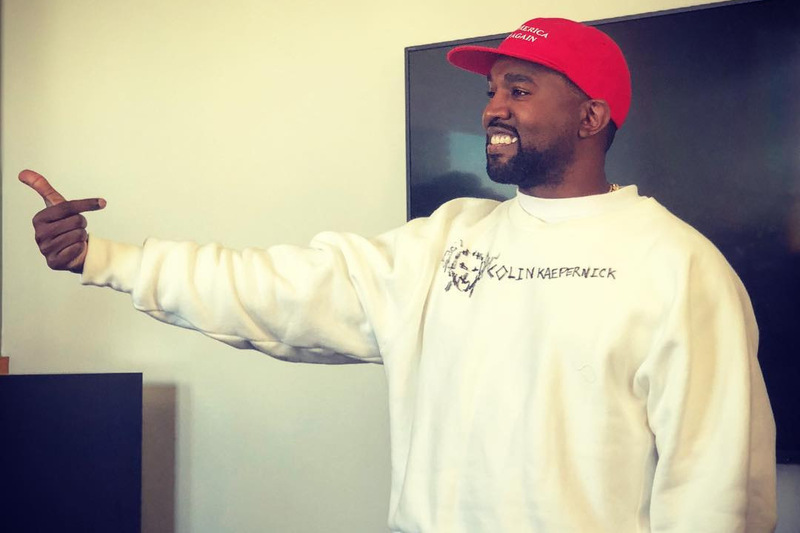 In transitioning to the non-music-specific tidbits, Kanye showed up to The FADER once again donning a Make America Great Again hat, which he insisted he “redesigned” because he “changed the brim, I mean I changed the shape right here and I put positive energy into the hat.” West was also sporting a Colin Kaepernick sweatshirt that he supposedly designed this morning. While at the office, Kanye made multiple controversial remarks. In reference to this weekend’s Saturday Night Live appearance, he said he wishes Louis C.K. would have been tapped to host the episode. For those unaware, the comedian previously admitted to being a sexual abuser. Following, West reverted back to the topic of slavery, declaring that there were only 800 slaves in the 1800s. In reality, the number is close to four million. He also insisted that he would have “run, fought, or got killed” if he were a slave. Kanye added that there are currently two million slaves in the U.S., referring to private prison inmates. A public appearance from Kanye wouldn’t be complete without a mention of his pal, Trump, to which he referred to as “matrix-breakers” along with Alex Jones, an American radio show host and conspiracy theorist who is well known for his hate speech. West also discussed his move back to Chicago, wanting to build a flying-car factory in the city, and more. For the complete rundown of what happened during Kanye’s FADER visit, follow on over to The FADER.